It may be small in size, but Jordan packs a mighty touristic punch. From the Roman ruins of Amman to the Red Sea in Aqaba, the kingdom offers ancient cities, adventure thrills and religious contemplation. “I believe that Jordan’s story needs to be told. 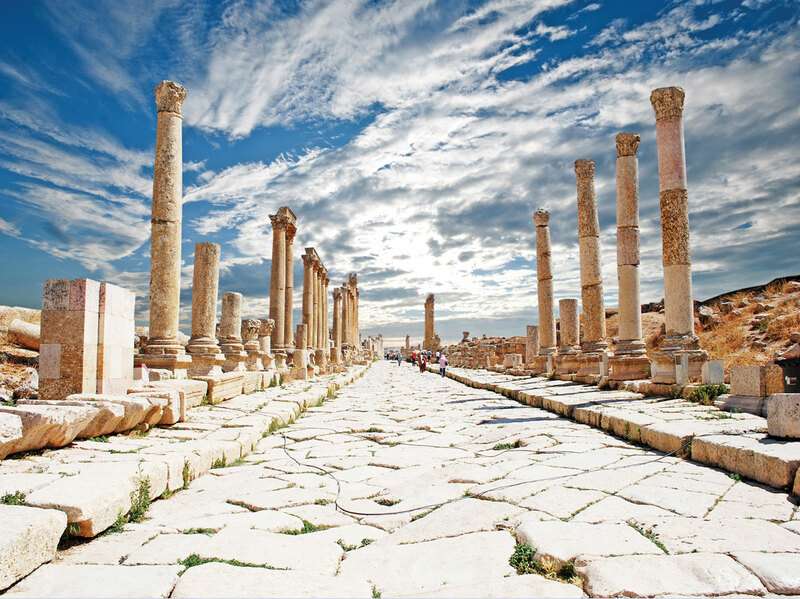 Anybody who hasn’t visited Jordan, must,” says Minister of Tourism and Antiquities HE Lina Ennab. It’s not an unexpected claim from an official in her position, but in numbers, in diversity, and with five designated UNESCO World Heritage sites, the kingdom justifies Ms Ennab’s confidence. Tourism is a strong value proposition around the world at the moment, with growth rates of 4%. 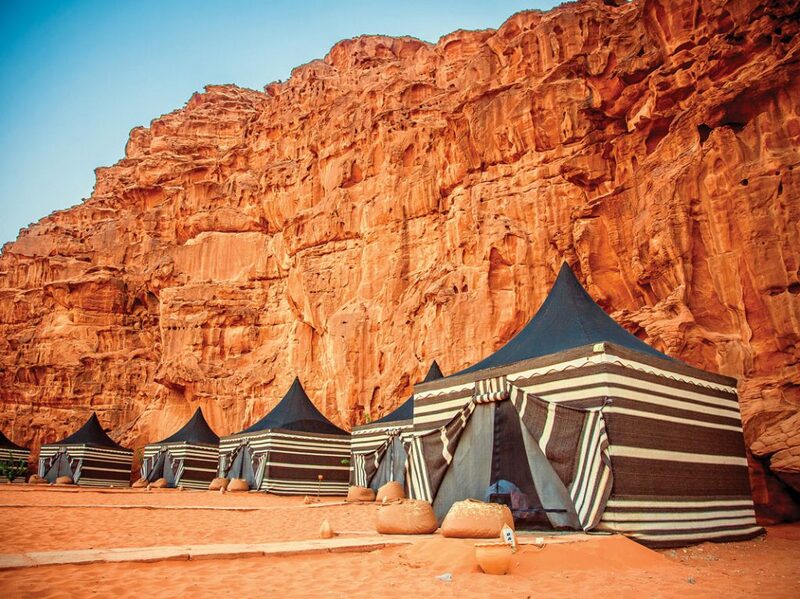 But even within this positive tourism climate, Jordan stands out. Safety and security, stunning landscapes, and good value for money have combined to create an industry with a growth rate of 14%. 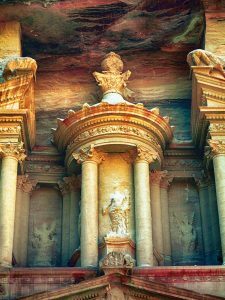 In part, Jordan may be benefitting from the falling tourist numbers in countries like Turkey, but it is also a winning option in a tourist landscape ever more defined by the search for authenticity and something different. About 10% of the country’s GDP is due to tourism, with 3.9 million visitors in 2017, and since then both tourist numbers and revenues have continued to rise. And as Ms Ennab points out, the good fortune is expected to continue: “We have not only seen growth in tourism, but growth in types of tourism.” Globally, the Minister claims, people are looking for immersive tourism experiences that allow them to see how local people live, and Jordan, with its rich Bedouin culture, is well poised to provide such an experience, while also featuring a stunning range of sites of historical and religious significance for those with a bucket list to work through. Condé Nast and National Geographic have both featured the country recently, while Frommer selected it as a “destination of choice” for 2018. Jordan is currently focussed on developing tourism in three main areas: antiquities and religious tourism, adventure tourism, and medical tourism. For visitors without a particular interest such as medical treatment, Jordan still has plenty to offer. 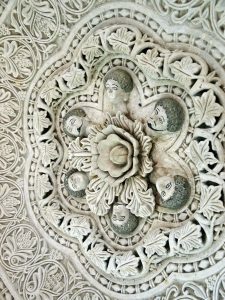 The historical sites can provide catharsis for the religious, thrills for those interested in history, the excitement of recognition for film buffs — and sometimes all three at once. As the Minister stresses, “There are about 2.3 billion Christians in the world, and 10% are estimated to be willing to travel for religious purposes.” Attracting even a small portion of this percentage could do wonders for Jordan, which will certainly deliver the goods. Al-Maghtas, an area on the Jordan River, is believed to be the place where Jesus was baptised. Archaeological evidence of early Christian religious buildings and baptism pools supports this claim. Meanwhile, Mount Nebo, a mere 710m above sea level, may not be impressive as a mountain, but is mentioned in the Bible as the place from which God showed Moses the Promised Land. Beloved of pilgrims, it features views of the Dead Sea and the Jordan Valley, and on clear days Bethlehem, Jericho and Jerusalem. It’s not all religious history either. The Dead Sea offers the chance to float where generations have floated and coated themselves in therapeutic mud, and Roman history buffs will get a kick out of the ruins of Temple of Hercules and the Roman theatre in the capital city of Amman, as well as the forum, hippodrome and Arch of Hadrian in the nearby excavation site of Jerash. “We want to be demand-driven, to match our attractions to what today’s travellers are looking for,” Ms Ennab confided, adding that one area popular with modern travellers is adventure tourism. Physical activity and a connection with nature are a must in this growing sector, and Jordan can provide the Dana Biosphere Reserve, over 300km2 of cliffs and valleys. The region is home, despite its seeming inhospitality, to ibex, big cats and abundant birdlife. For those who like nature but not rustic accommodation, the Feynan Ecolodge provides off-the-grid comfort in a stunning setting in the midst of a landscape of limestone, granite and sandstone mountains. For avid walkers, the Jordan Trail, a recently-developed initiative to join hundreds of ancient paths and trade routes, is rather like a Middle Eastern Camino de Santiago: a 40-day hike that covers 650km and passes through diverse landscapes, towns and villages, offering opportunities for cultural exchange and homestays with local families for travellers interested in discovering the real Jordan. Fame of the route has taken off for adventurous tourists in recent years, prompting write-ups and documentaries. 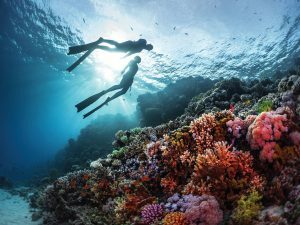 In Aqaba, the Red Sea offers the delight of clear waters and pristine coral, with wreck diving and snorkelling trips from comfortable beach resorts. 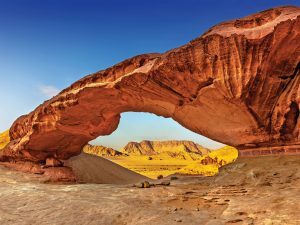 Meanwhile, the Adventure Trade Travel Association held its regional meeting in Jordan in 2017 and was so impressed with the country’s dedication to developing adventure tourism that it will return in May 2018. This highlights a further growth area for the country: Meeting, Incentive, Conference and Events (MICE) tourism. The Ministry of Tourism has a Convention Bureau specialising in encouraging this kind of business travel. “At the Dead Sea, there is the King Hussein Conference Centre, which is a fantastic venue,” Ms Ennad explains. “We had the Arab Convention here. The World Economic Forum holds its major events in Jordan once every two years, and pharma-conferences are also quite big.” When businessmen visit the country for conferences, there is the likelihood that they will stay on to see some of the major sights. 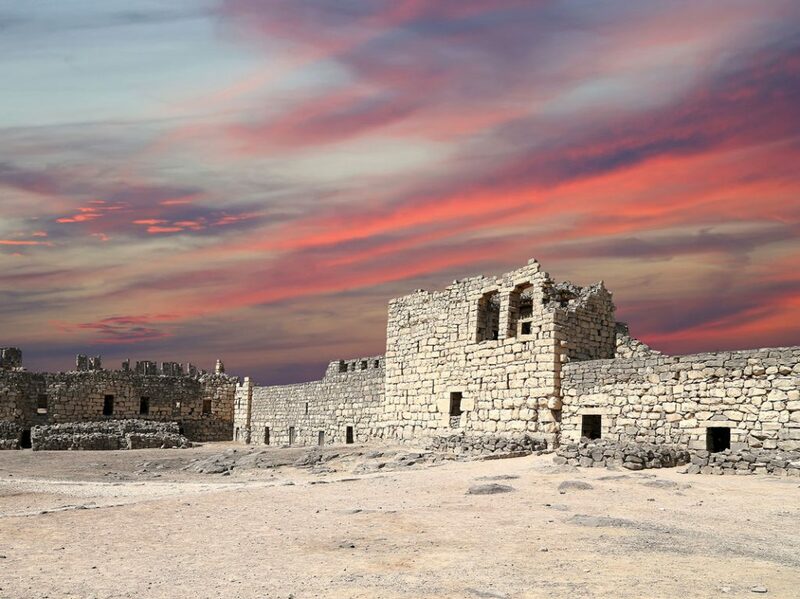 Jordan is currently focussed on developing tourism in three main areas: antiquities and religious tourism, adventure tourism, and medical tourism. Improving access to the country by air is a key step in further developing the tourism industry. Royal Jordanian Air is the main carrier, but the country has its sights set elsewhere: on low-cost carriers bringing travellers from Europe. “It is our strongest market,” Ms Ennad says. “We are making strides, and 2018 will be a very good year for air travel.” Queen Alia International Airport in Amman already acts as a travel hub for the Middle East.